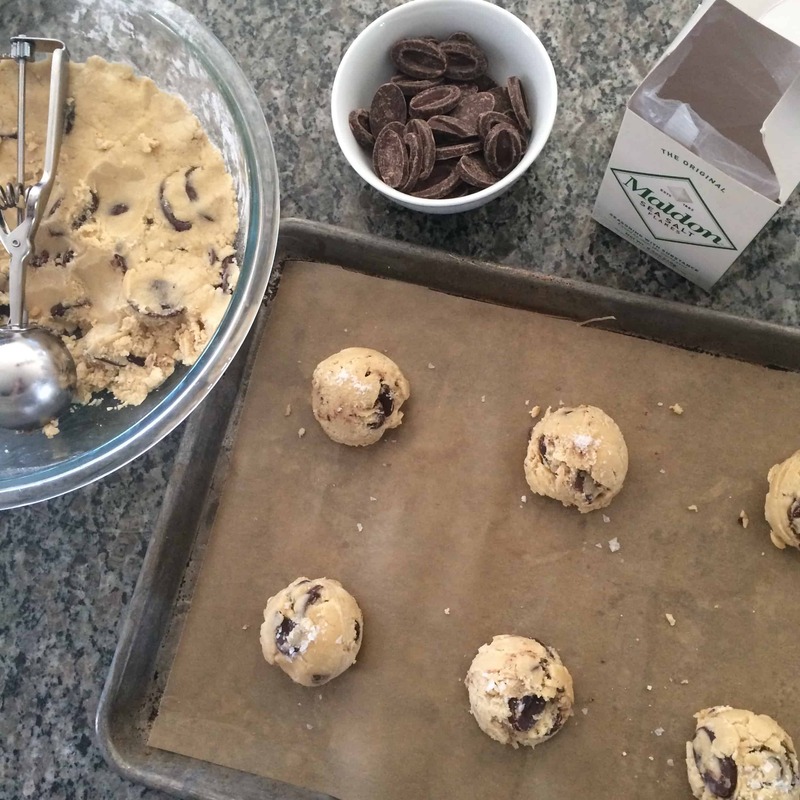 Chocolate Chip Cookies: Ever since I discovered Martha Stewart’s Crisp and Chewy Chocolate Chip Cookie recipe, I’ve looked no further. I could make them in my sleep; everyone loves them; they are just so good—chewy and bendy. 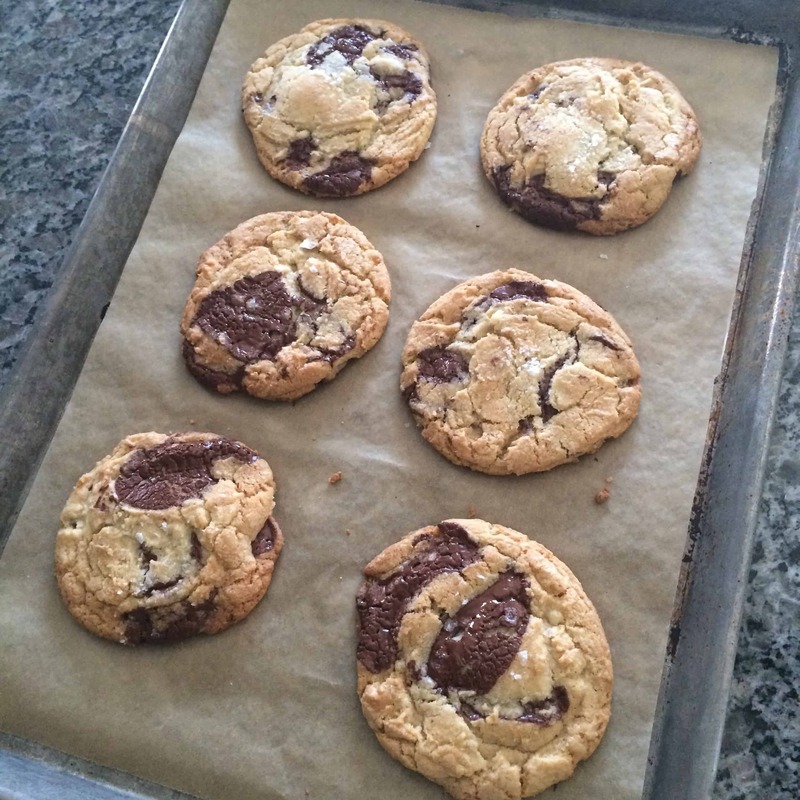 In fact, every time I make them I say, “these are the best cookies I’ve ever made,” and my son always smiles, rolls his eyes, and says, “You say that every time!” It’s become a joke between us, but they really are! It’s like I forget how irresistibly good a fresh, warm chocolate chip cookie is—even for me, a girl whose salty tooth is far more demanding than her sweet tooth. As much as I love my regular recipe, I decided to give these a try. Wow. Just wow. So, over the years I’ve been hearing this constant buzz about Jacques Torres, AKA Mr. Chocolate, and his famous NY Times cookie recipe. I thought to myself, “how good can they really be?” I mean, chocolate chip cookies are great, and yes, I’ve been known to eat a few right off the tray while they’re still warm and melty… Is there any other way?? But they’re just one of those things. I didn’t feel the urge to try this hyped up, fancy recipe for something I consider homey and traditional. Alas, my curiosity got the better of me. Amazon.com supplied me with the bittersweet chocolate fèves, and I followed the recipe exactly—something I never do! Oh boy am I happy I did. 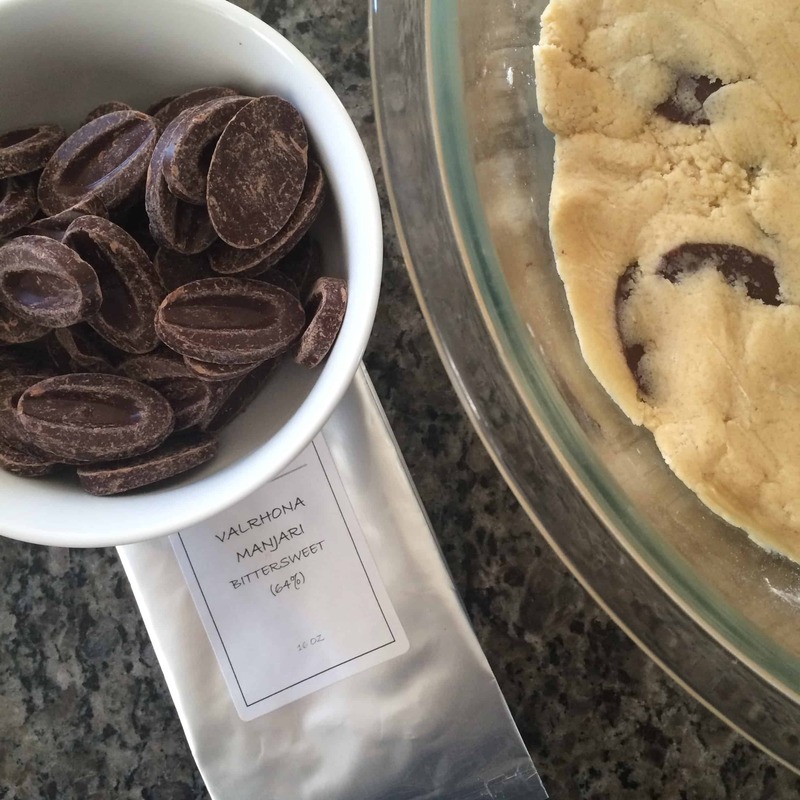 Jacques Torres, I doubt you will ever read this, but I am a believer. These cookies are like the Rolls Royce of chocolate chip cookies. They are chewy and soft; just a little crunchy around the edges; loaded with silky layers of chocolate—and the sprinkle of sea salt on top just sends my taste buds to the moon. Salty. Sweet. Irresistible. I’m still devoted to my favorite recipe (which I hope you will try too! ), but these will be my special recipe that I whip out when I’m feeling a little naughty and indulgent. I hope you try them, I promise you won’t be disappointed. Because the dough is cold from the 24-36 hours in the fridge, scooping it is kind of a pain in the neck. I used my biggest scoop, which is two inches in diameter and holds about 1/4 cup of dough. I kind of squished it in with my palm, then dropped it onto the cookie sheet. This part might frustrate you (as it did me! ), but I promise it’s worth it! Oh my goodness, Anita! I, too, love that Martha recipe but these really do look special! Thanks for this one! Thanks for sharing this – eventually I will have to indulge myself! Will also have to try the Martha Stewart recipe – we love her cupcakes too! Perfection!!! I may have to make these for Valentines Day!